My Birthday is today my mum has a special present for me. She said I'm not aloud to open it until night. I'm really excited about this one. My first present was a Barbie doll,games for DSI,lots of sweets and a box of chocolate. At last it was night and when I opened it,it was a puppy. 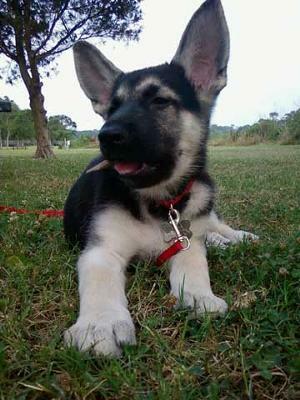 It was a German Shepherd puppy and my mum said I have to take care of the puppy. I thought how can I, I have to go to school.